Post by Lauren's Wing The Fund for Animal Care. Hello! 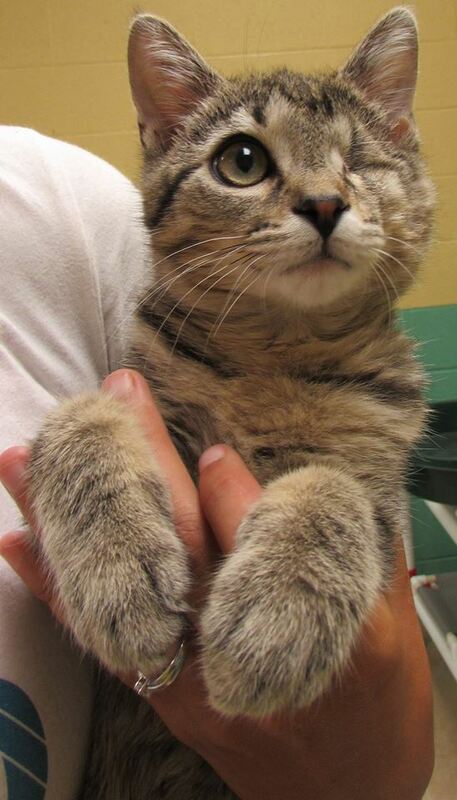 My name is Daniel and I was rescued from an open door shelter in urgent need of medical care for my eye. After exploratory surgery at Action for Animals, the Dr. determined that unfortunately my eye could not be saved. I have recovered nicely and have adjusted quite well! I can be found playing with other cat friends while waiting for that special someone to come and give me my forever home. I am only 7 months old, very happy, super friendly and healthy. Thanks to the AFA staff, Lauren’s Wing, and the special people who support Lauren’s Wing – The Fund for Animal Care.